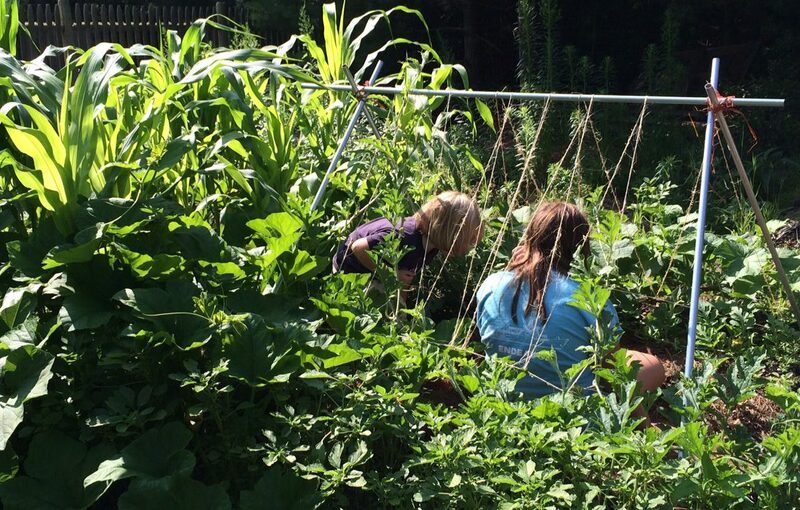 So many of our readers at Growing Children found us through this post about growing food year round in a School Sunhouse. We are now sharing a diary of our daily work over on Twitter. Please follow us at School Sunhouse to learn how children can grow organic food year round in unheated sunhouses. For schools in cool or cold climates, school gardening classes tend to be outside in spring and early fall. An unheated sunhouse (also called a hoop house or a high tunnel) makes it possible for students to care for the soil, and to plant, tend, harvest and eat school-grown food throughout the school year. The Waldorf School of Cape Cod is pioneering the use of a school sunhouse. We want to help others who are considering building a sunhouse or are just starting working in one. Following our work through the year will help school gardening teachers and those who support them to picture the whole endeavor and make their own plans. Once we have four seasons of tweets, teachers will be able to scroll through our past tweets to help in planning planting, tending, watering and harvesting. This is amazing! I would love to learn from your progress. Is there any other way, besides twitter? I don’t have (or want an account). Facebook, Instagram?